See you at the Singapore Indoor Stadium on April 20, as Michael Dasmarinas goes for the IBO world title. 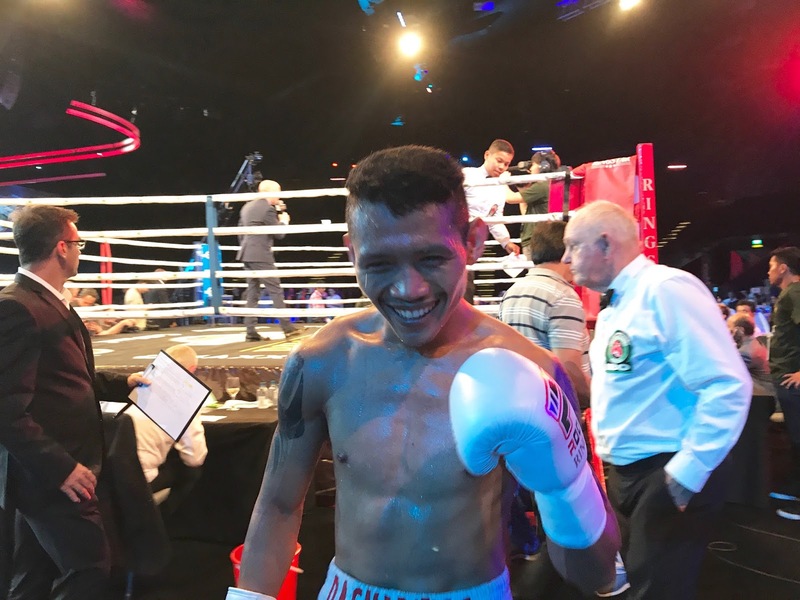 Filipino boxer Michael “Gloves on Fire” Dasmarinas, is ready to battle French boxer Karim Guerfi on April 20, 2018, for Ringstar’s ‘Roar of Singapore IV - Night of Champions’. At stake is an IBO world title belt that evening, at Singapore Indoor Stadium. Dasmarinas went to Japan for over a month to train with top coaches, who were former world boxing champions themselves. Dasmarinas is currently ranked by WBC 12th, while his French opponent is ranked 4th. Dasmarinas will also have the opportunity to show his wares at an open workout on March 7, 2018, 1 p.m., at Kerry Sports, Shangri-La at the Fort. Malaysian boxer Mirage Khan will also appear with him. Ringstar Boxing, Asia’s fastest growing sports media property has now reached an overwhelming broadcast footprint of over a potential billion viewers across the globe, and is currently gearing up for its April 20 show, ‘The Roar of Singapore IV – ‘Night of Champions’, to be held at the 10,000-seater Singapore Indoor Stadium. Tickets are now available at www.sportshub.com.sg/RoarofSG4. Ticket prices for VVIP tables at SGD 5,000, with early bird rates at SGD 4,000, up to March 20, 2018. This includes a 4-course dinner with free-flowing wine and beer, VVIP gift bag which includes Ringstar shirts, corporate branding on the table, half-page ad in the fight program, exclusive VIP entrance and red-carpet access and photo opportunities with top celebrities and world-renowned athletes. Category 1 Seats are at SGD 48, with early bird rates at SGD 38. While Stadium Seats are at SGD 38, with early bird rates at SGD 28. Promo code ‘RINGSTAR’ will entitle ticket buyers 50% off the rates, over and above the early bird rate, (for tickets only). Sponsors and Partners of ‘Night of Champions’ include Roomaif International and Alexandre Christie.